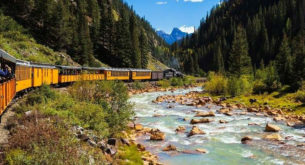 These hikes make for great alternatives from the likes of the Otter Trail and the River Canyon Trail and are to be added to any hiker’s bucket list. 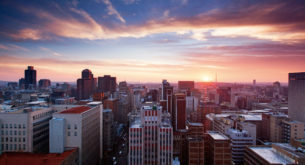 If you’ve been hiking for any length of time, you’ll have heard of some of South Africa’s famous hikes, like the Otter Trail on the Garden Route, the Tugela Falls Trail in the Drakensberg, the Fanie Botha Trail in Mpumalanga and Namibia’s Fish River Canyon Trail. Here are a few alternatives. Arguably, the toughest hutted hike in South Africa! 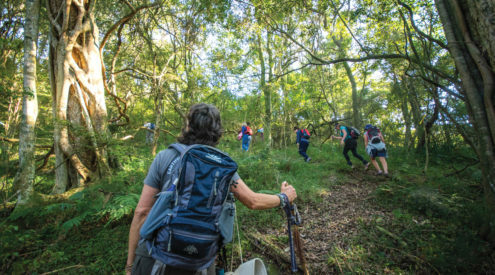 The Amatola Hiking Trail is better known than Giant’s Cup Trail and the Outeniqua, but it still does not get nearly the attention it deserves. The trail takes you through dense, ancient forest where the sunlight barely pierces the canopy of the trees. Steep hills, ascending hundreds of metres, lead to macchia grassland and a myriad of wild flowers. Often referred to as the “waterfall trail”, the Amatola has an abundance of amazing swimming spots. The hilly nature of this trail and long distances between huts make the Amatola a very challenging hike, but the beauty of the trail and sense of accomplishment at completing it, make it all worth it. Difficulty: Extremely difficult due to long days and big ascents and descents. 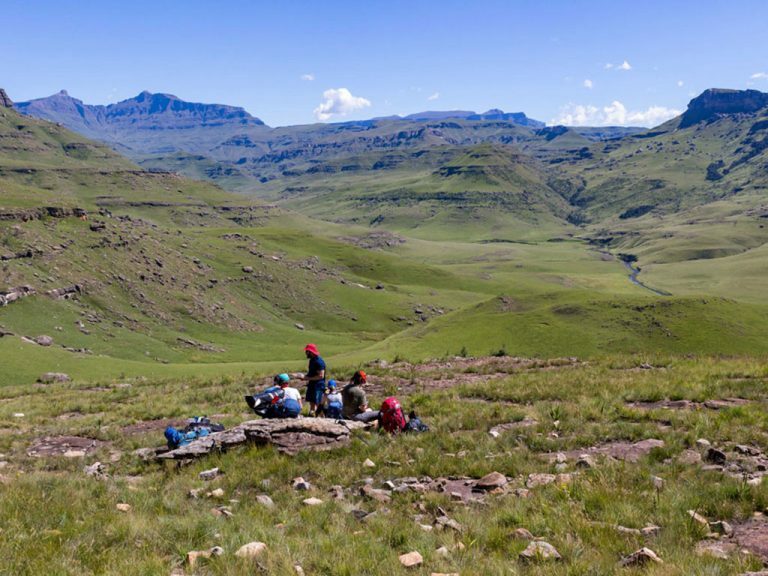 The only fully hutted trail in the Drakensberg, the Giant’s Cup Hiking Trail is right up there with the Otter Trail in terms of views, terrain, quality of trail and accommodation – an absolute 5-star hiking experience. Giant’s Cup boasts glorious panoramic views, grassy plains, spectacular valleys with beautiful streams and pools, weathered rock formations, herds of antelope and regular sightings of the endangered Bearded Vulture. The trail traverses the foothills of the southern Drakensberg, starting just outside the village of Himeville and finishing at the Bushman’s Nek border post. With a maximum walking distance of 13.3km per day, the Giant’s Cup Trail is the perfect introduction to hiking in the Drakensberg. Difficulty: Moderately difficult – very similar to the Otter Trail. 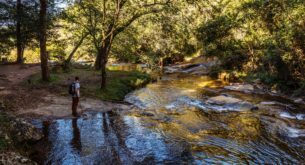 When you think about hiking on Garden Route, the first trail that comes to mind is the Otter Trail and maybe if you keep thinking, the Tsitsikamma Trail might feature, but in the heart of the Knysna forest, traversing the Outeniqua mountains, is a trail so pristine, it feels like stepping back in time. 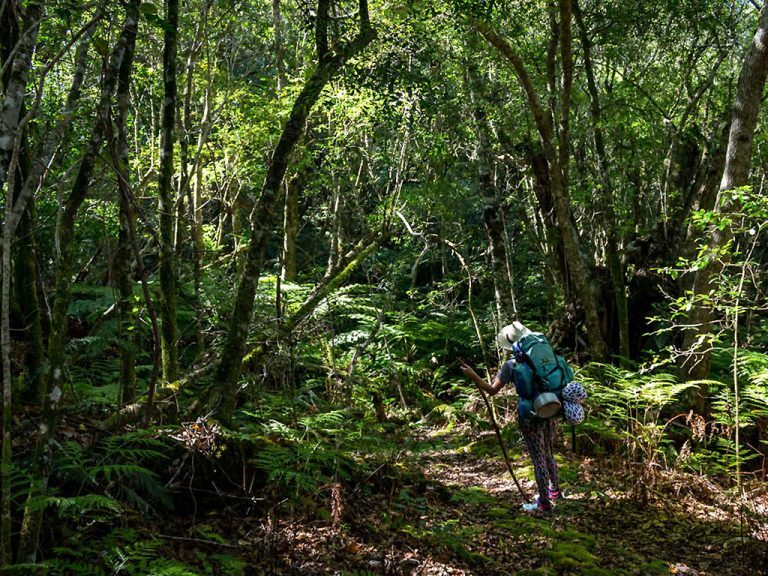 Giant Outeniqua Yellowwood trees, hundreds of years old, stand like guardians in the old forest, tea-coloured mountain streams cut across the trail, elephant tracks in the soft soil and every now and then the silence of the forest is broken by the call of a Knysna Loerie. 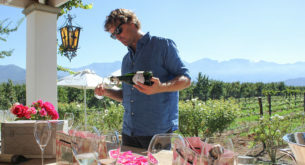 The Outeniqua Trail is like something out of a dream. 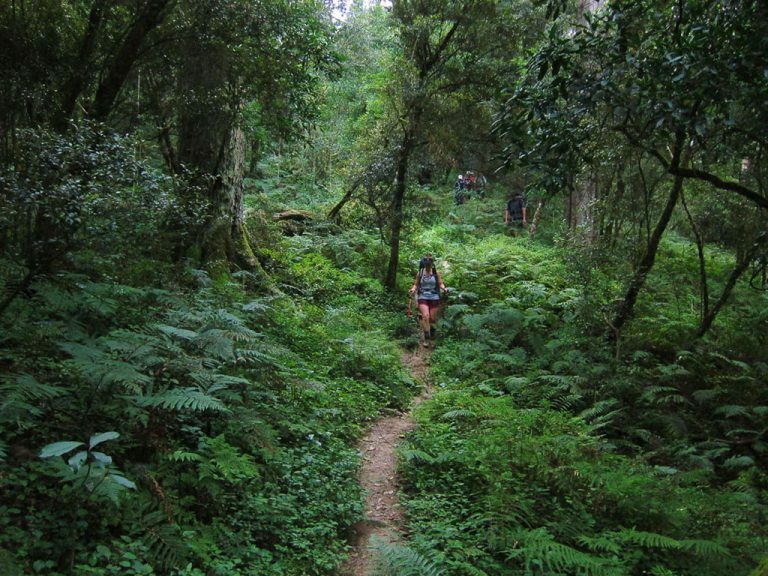 It is a long and challenging trail, which might be a big reason why it isn’t as well known as the Otter or the Tsitsikamma, but this trail will capture your imagination like no other and make you feel like you’ve walked onto the pages of Tolkien’s Lord of the Rings. 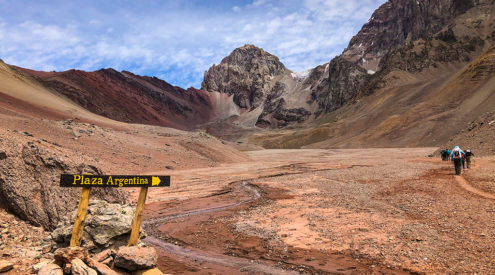 If 7 days sounds like too much of a commitment, the trail can be broken up into sections of 2- or 3-day hikes. Difficulty: Difficult – you’ll need to be fit and strong. 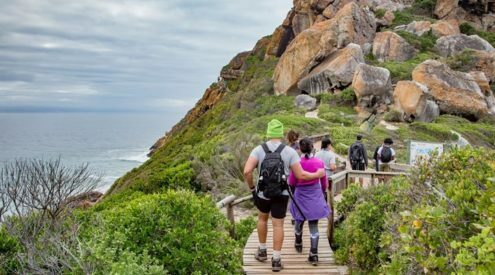 For more information on these trails and hikes all around South Africa, check out hikingsouthafrica.co.za, SA’s online hiking community.